The Patchology FlashPatch Hydrogels are ideal for those short on time but still want to be pampered. These innovative Lip and Eye Hydrogels are saturated with nourishing serums and can be enjoyed any time of day. If you're a multi-tasker, you can even use them both at once! Both products have the HydraSurge5 Moisture System which combines five hydrating ingredients and flexible Hydrogels to deliver nourishment to targeted areas for maximum results. Lip Renewal FlashPatch | My lip treatments don't go much beyond lip balms and oils so these gels were a real treat for me. You simply use the included spatula to remove one gel, press the gel on your lips and let the serum soak in. It takes a little getting used to, but they're actually quite comfortable. The best part is, they only have to stay on your lips for five minutes! You're left with super smooth, hydrated lips that will look better with every use. Your lip products will go on a lot more smoothly too. Eye Revive FlashPatch | As with the lip gels, these eye gels work their magic in five minutes. You could leave them on longer if you want, but it's great knowing they only need a short amount of time. All you have to do is massage the residual serum into the skin and you're good to go! 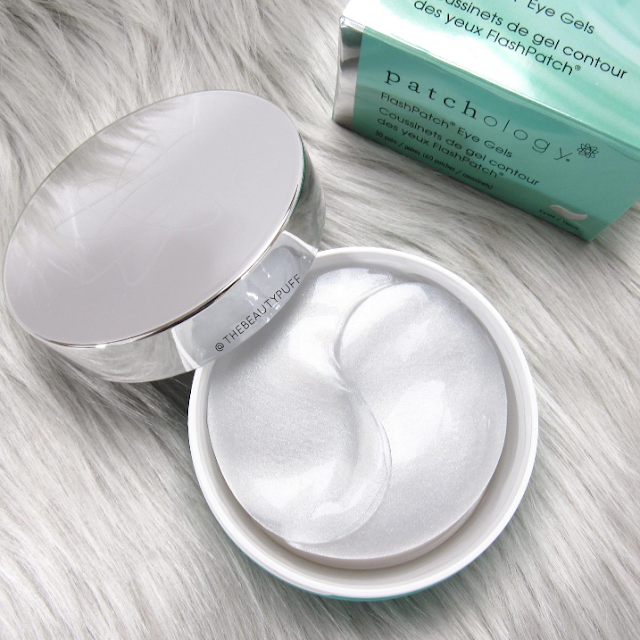 These eye gels can be used prior to makeup application or at night before bed. Either way, they're an easy step to incorporate into your skincare routine. They brighten, hydrate and reduce puffiness so you will look awake and refreshed in no time. Whether you're a mom, student or busy at work and just need a few minutes of pampering when you get home, these FlashPatch HydroGels are fantastic. You can pop them on while you make your morning coffee or even as you clean up after dinner at night. Patchology has an entire line of products that can help you get softer, smoother skin without having to set aside hours to achieve it. Shop their products below at Ulta!